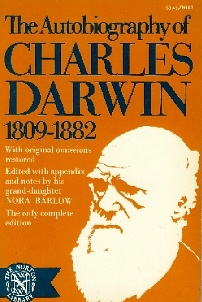 Begun in 1876 and published posthumously in 1887, The Autobiography of Charles Darwin contains the life and experiences of the man, not only in his own words, but also in the words of his son, Sir Francis Darwin. "My father's autobiographical recollections, given in the present chapter, were written for his children,--and written without any thought that they would ever be published. To many this may seem an impossibility; but those who knew my father will understand how it was not only possible, but natural.